Addbacks for a business valuation or business sale. Adjustment of net income through addition or deduction of items not affecting working capital; an item thus added or deducted. An addback is an expense that is added back to the profits (most often earnings before interest, taxes, depreciation, and amortization, or EBITDA) of the business for the express purpose of improving the profit situation of the company. It is a legal expense that appears in the financial statements of the business such as the Income statement or profit and loss statement or tax return but has no true economic value in the performance of the business. Most small to medium businesses are run by their owners to minimise taxable income. 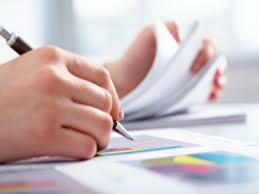 To determine the actual profitability of such businesses, the financial statements need to be adjusted. An add-back schedule will allow a prospective purchaser and their financial adviser the ability to recognise the actual operating profits of the business before personal expenses and salaries of the business owners. As with all businesses, some expenses actually paid are either of a personal nature or are a one-off expense. For example, an expense that is extraordinary and in normal trading periods will not be incurred again. Add-backs normally include private financing costs, owners salaries and depreciation allowances. All financial institutions, including banks, take into account and fully accept items listed as addbacks, providing the add-backs can be verified and are reasonable. It is not unusual for owners of businesses, especially successful and highly profitable ones, to give themselves excessive salaries and bonuses. Nothing is wrong with that, of course, but it is fair and equitable to adjust the owners compensation to that of the market. There are numerous times, especially in smaller businesses, where members of a family are not paid at all, or are paid below the award rate. In instances such as these, a fair wage has to be deducted from the addback schedule. Depreciation, always a contentious issue, is another area that needs to be examined closely. Depreciation is an accounting method of allocating the cost of a tangible asset over its useful life. Since one of the goals of an addback schedule is to determine the available cash flow of the business, the depreciation allowance is nearly always added back . However, depreciation should not be added back randomly if there is a capital expense expected in the future.